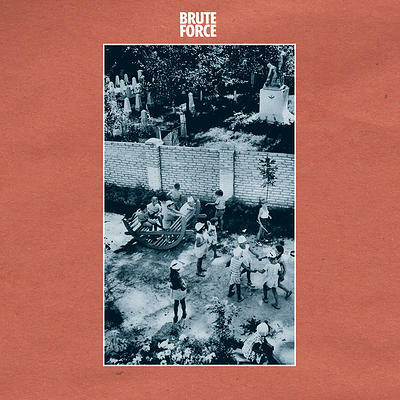 The first second Brute force’s album made me smile with the realization of inevitable, even if painful joy, and from there on it got better and better. This insane trio of guitar – Bass – Drums explodes in a thirty minute long explosion of riot against any other form of improvisation. Only destruction is real, or this is what we can learn by shear Brute Force. Just look at the picture on this album cover. On one side there are children playing together, on the other side there are people dying together. What do you do in the middle of these two spots? Well, this album is most likely to shove your head through that brick wall in the middle with their hostile mayhem. What else there is to say? This fantastic display of power explodes in 110% of pure energy that cannot even be contained properly by the listeners, and makes this experience into a mind blowing catharsis. If you haven’t noticed this great label yet, please do, and if you want to feel what it’s like to feel humbled in front of an unforgiving force – well, this is exactly how it feels.